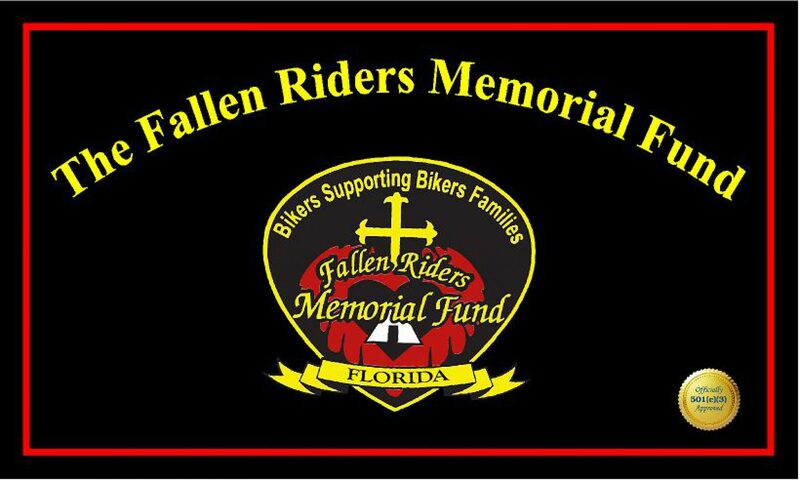 The Fallen Riders Memorial Fund (FRMF) was founded January 1st 2004 in the State of Ohio. Since then, we have branched out to other states including Florida*. The FRMF was created to give immediate financial assistance to the families of riders who have lost their lives in motorcycle accidents. The money we are able to give to these families will help them with bills, food costs, or to help cover some of the funeral or medical expenses of their lost loved ones. We are a 501C3, Non-Profit organization that is funded solely by generous donations from individuals, clubs and area businesses. The Executive Directors and board members are volunteering their time and will not be compensated. Furthermore, the money donated to this fund will be given to the families of fallen riders. We hope you will adopt the FRMFF as one of the charities you support. Our vision is to be able to, in the future, not only offer monetary assistance to the families of fallen riders, but also to help injured riders who are temporarily unable to work. With rising gas prices and a down economy, more and more people are hitting the streets on motorcycles, sometimes with disastrous results. With all of these factors taken into consideration, our State of Florida needs an organization like FRMF now more than ever! 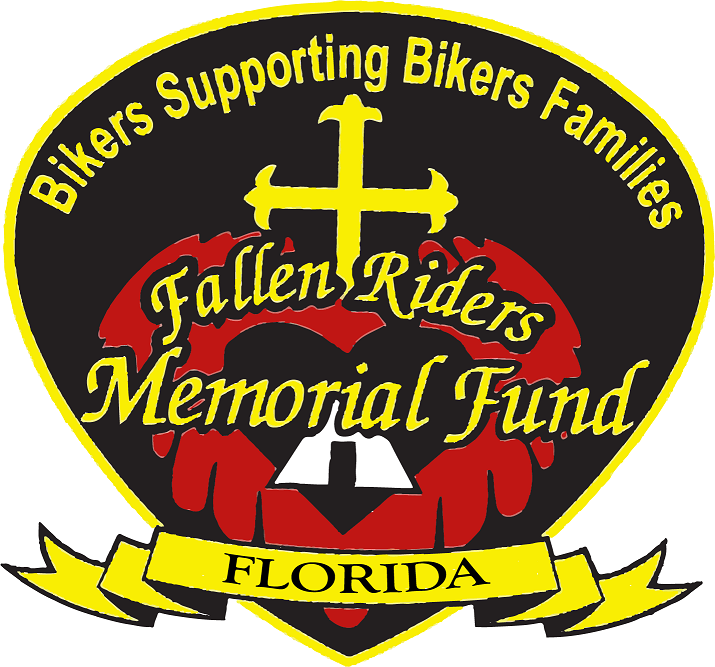 With your help Fallen Riders Memorial Fund Florida will stand ready to make a difference for the entire motorcycle community, of the state of Florida. Please support FRMFF so we may support others. *All money collected in each State, stays to benefit that State.